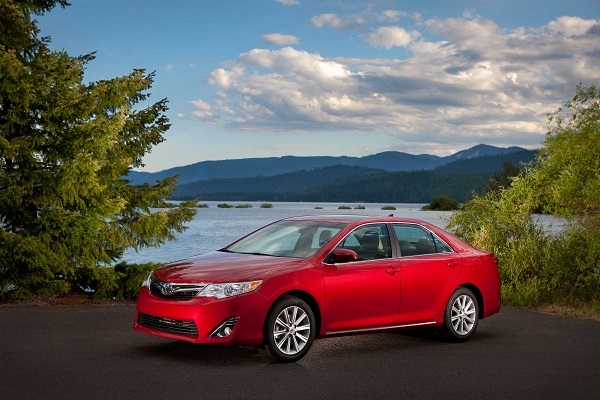 Shoppers looking for a new 2014 Toyota Camry in the coming year can expect to pay more. The newest Camry will soon be called the 2014 ½ Camry and the new model name comes with a price increase from about 1 percent to about 4 percent depending upon trim level. For their money new 2014 Toyota Camry owners will get a standard back-up camera. Toyota is calling this an upgrade, but it is actually part of Toyota’s compliance with the government mandate that all vehicles have a back-up camera. Although the rollout of the new regulation was fuzzy in terms of actual due date for the technology to be applied, most automakers are now including the backup camera. The new 2014 ½ Camry will also have some changes to the Entune and JBL audio option. Customers would be wise to find out what is actually being stocked by dealers because regardless of what the web sites say, many models come with some options “standard.” There is also a new exterior color called Parisian Night Pearl offered on the Camry LE, XLE gasoline and hybrid models. Clearwater blue has been discontinued. Prices do not include Toyota's $810 deliver fee or dealer documentation fees. The Camry is due for a major restyling soon and in our recent story we provided an overview of what buyers might see in 2015.